Andreas and Benedikt are two friends who live and work in Ireland. The company they work for encourages their employees to volunteer for social causes and in February 2016 they decided to make the most of this opportunity. Looking on-line they found Amani Children’s Home and decided to participate in our Ambassadors program. When Tristan (Benedikt’s friend) heard they were coming to Amani he enthusiastically decided to join them. “Being in Moshi, Tanzania we have experienced Amani’s mission – rescuing children; transforming lives; restoring hope – first hand. This mission sounds very ambitious – and it is! During the 7 days we spent with the Amani children and staff we have seen the rescued children develop. Even in the short time we spent at Amani we could truly see how everyone is giving their best – everyday – to offer the children at Amani a bright future. Coming from Europe, experiencing life in Tanzania makes you realize what is really important in life. Supporting Amani we get so much back by knowing we are being part of transforming the lives of Tanzanian street children. During our six days at Amani we spent tons of time with the children, got an overview of Amani as an organization and tried to give back to the children as much as we could. We worked on smaller projects like setting up an inventory list for the nurse office, helping in the carpentry workshop, did a t-shirt art project and made portraits of all the Amani children. Overall, our experience couldn’t have been better. 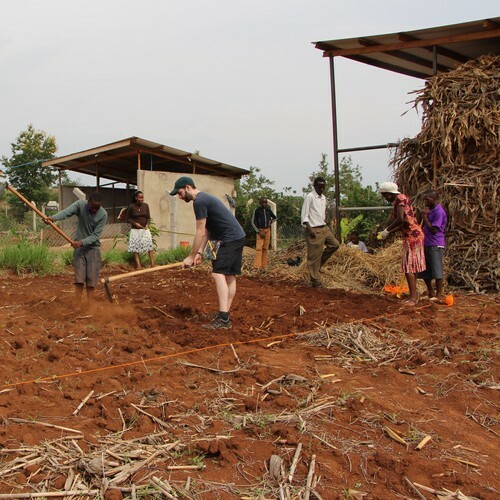 In summary: travel to Tanzania and become an Amani Ambassador! It is a rewarding experience. If you have questions about the Amani Ambassador program or about supporting Amani in a monthly basis please reach out to us. We are all more than glad to share our experience and give you first-hand information and advice.